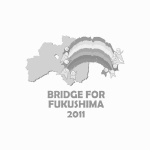 Bridge for Fukushima > Human Tourism > Trial package tour ‘Difficulties and distress Namie-machi town officials faced on March 11, 2011’ was conducted. 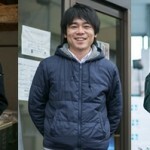 Trial package tour ‘Difficulties and distress Namie-machi town officials faced on March 11, 2011’ was conducted. The following tour was broadcasted on the CNN on 1st December, 2014. 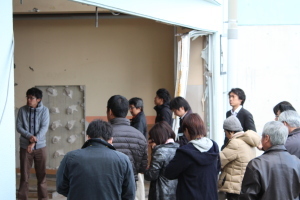 Trial package tour ‘Difficulties and distress Namie-machi town officials faced on March 11, 2011’ was conducted on November 15 and 16, 2014 to share special learning occasion only Fukushima could provide through knowledge, information, experience from unprecedented disasters. Nearly 20 participants; local government officer, university staff, NGO staff, manufacturing company employee, students gathered for the tour. 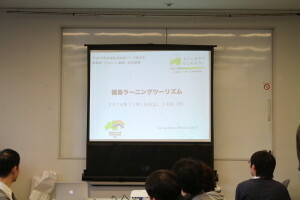 As subtitle of this tour, ‘Situated leaning through actual experience and the transition the town officials have been facing just after the Great East Japan Earthquake’ shows, the first day session made participants experience decision making process by the town officials made using case material <Namie town hall on March 11> Leaning Initiative Inc. prepared. 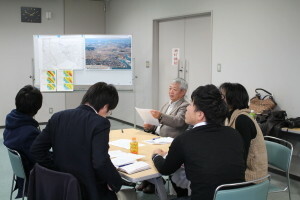 Participants discussed what to do and what kind of decision would be made under the situation of great earthquake, tsunami, and nuclear accident in small group, and Namie town hall officials gave some comments. In the second day, the participants visited Namie town hall, designated as zone in preparation for the lifting of the evacuation order, Namie town, and Ukedo elementary school. 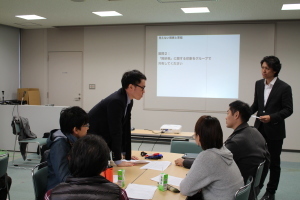 In the afternoon of second day, the session for damage by rumours was conducted using case material Minamisoma resident actually faced in Tokyo. 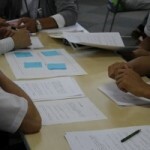 The participants discussed cause of damage by rumours and its solution. ‘I realised how difficult to judge under the extreme situation. 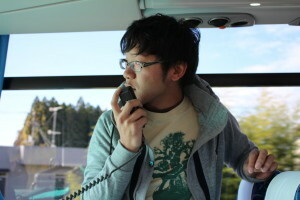 The tour gave me an opportunity to review own evaluation criteria’. 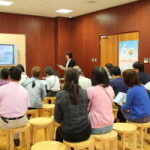 Soma and Futaba District Human Tourism Committee, Bridge for Fukushima and Learning Initiative Inc. will provide learning session with you after reviewing this trial package tour. Please contact us if you are interested in ‘learning tourism’ through following format.